The 2 Reel boats are 21.5 foot Campion Explorers, otherwise known as Campion Fishing Machines! They boast a fully covered helm area, ample deck space and a walk-around deck for playing those big fish. 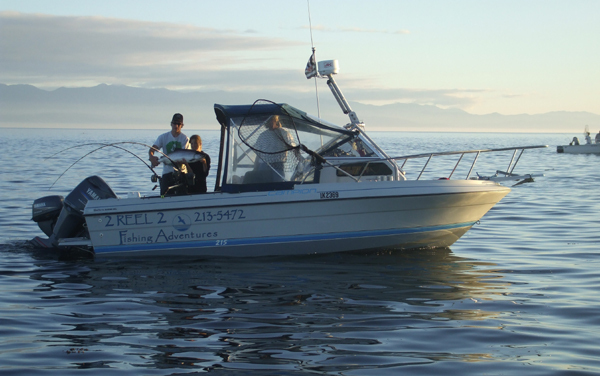 The 2 Reel boats fish four guests comfortably, and with a modified v-hull, they are steady in the water and very sea-worthy. 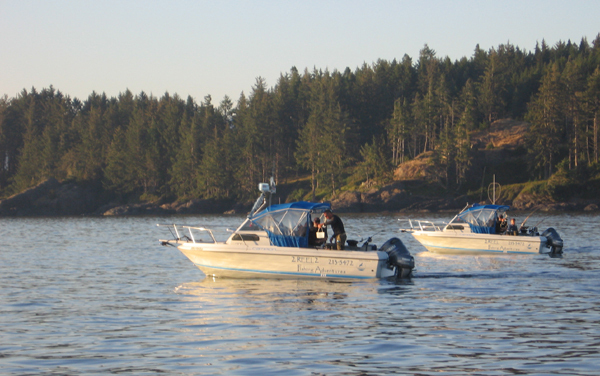 Powered with 150 hp Yamaha motors we can have you fishing within 15 minutes of leaving the dock. Once at the fishing grounds we switch to 4 stroke auxiliary motors for trolling. There are also small cuddy cabins with private heads on board each boat. If you have any questions about our boats, please don't hesitate to contact us.